Alcyonacea is another name for soft corals or corals that do not form calcium carbonate skeletons. Alcyonacea contain minute, spiny skeletal elements called sclerites. Scelerites useful in species identification and give these corals some degree of support. Their flesh has a spiky, grainy texture that deters predators. Acyonaria Point, being protected from the prevailing south easterly weather, abounds in soft corals that are not generally seen on the exposed outer reef. 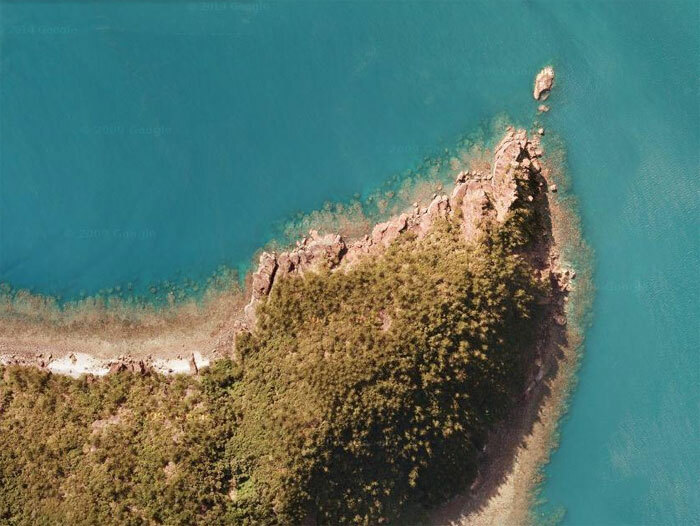 Alcyonaria Point is located on the northern end of Hook Island very close to Hayman Island in the Whitsunday Islands. 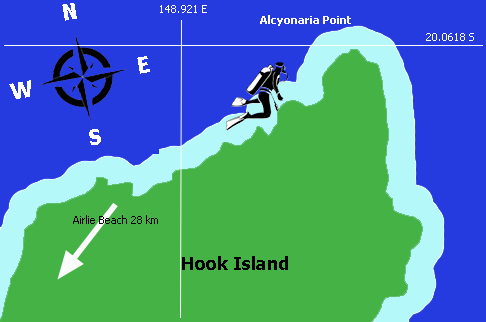 Northern end of Hook Island. 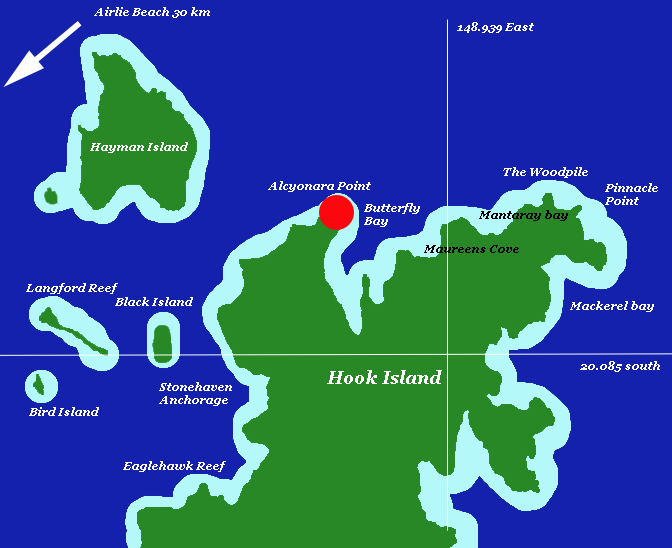 Named after the soft corals found here. Large coral bommies with lots of territorial sea creatures make for an exciting scuba diving experience. Bommies rise up from about 13 metres but the tops are well clear of the surface making parts of the site unsuitable for snorkellers. Gullies and ledges in deeper water. Soft corals abound in the shallower parts. Some plate coral. Trout country. Another top dive and usually good unless in a northerly.